Published on 6 June 2014. Earlier this week, I enjoyed the State Opening of Parliament. I’m not sure why I enjoy it. Perhaps it’s the idea that it’s an (almost) annual ceremony that’s remained (almost) the same throughout my life; perhaps it’s because it’s a vestige of tradition that still have something to say in the modern world; perhaps it’s something else entirely. I actually sat and wondered about this as I watched. But then I had an unusual experience – a single article changed my view. While I don’t agree with all its poinst, The Economist’s well-argued article points out that the State Opening is a fixed point for which announcements have to be found and made. Having railed against this sort of thing in many other spheres of life (from local government to the Apple product schedule), this article made me realise that this – for all the pageantry – was as insidious as the rest of them. This article means that I’ll never view that ceremony in quite the same way again. 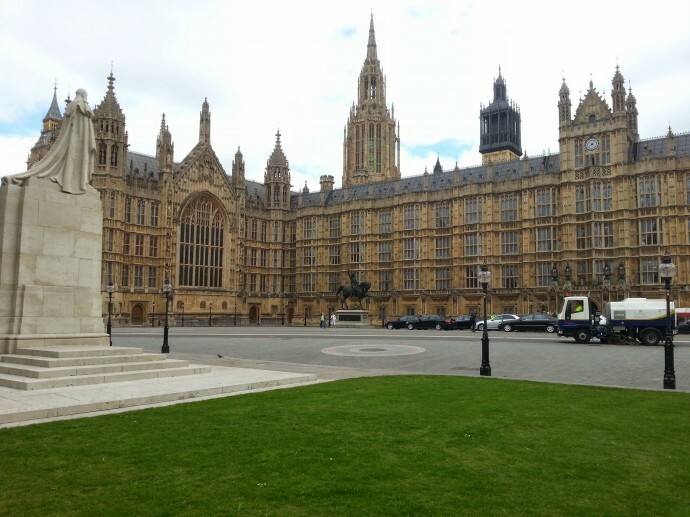 The picture at the top of this post is one I took last year, showing the Palace of Westminster with all the ugly black security barriers removed. Doesn't it look lovely? It seems such a shame that we can't have it this way all the time. This 2,246th post was filed under: Weekend Reads, Parliament, The Economist.